We have learned so much this month about the elegant and classic martini cocktail. To finish off Martini November, Grant from Heads and Tales Bar, Edinburgh has created his own take on the martini exclusively for us, using Edinburgh Cannonball Gin. Personally, there will never be the perfect martini, only what one person might love. Cocktails, especially the spirit-forward classics like a martini, will always be down to a personal taste. A drink like this is ideal for the bartender, it provides them with the opportunity to dive into that one specific guest. Often allowing them to try new things, whether it be made by them or requested by the guest. I generally use a navy strength gin, like Edinburgh Cannonball, because I like my martini relatively wet, this big gin allows you to do that without losing the base spirit and compromising on the amount of vermouth used. Heads and Tales has been hidden away in Edinburgh’s west end for just over five years. Boasting an impressive gin selection, around ninety-four as a base level, and sharing the space with the team with Edinburgh Gin. They aim to serve a G&T for any palate and do so the way the distillers and brands intended. 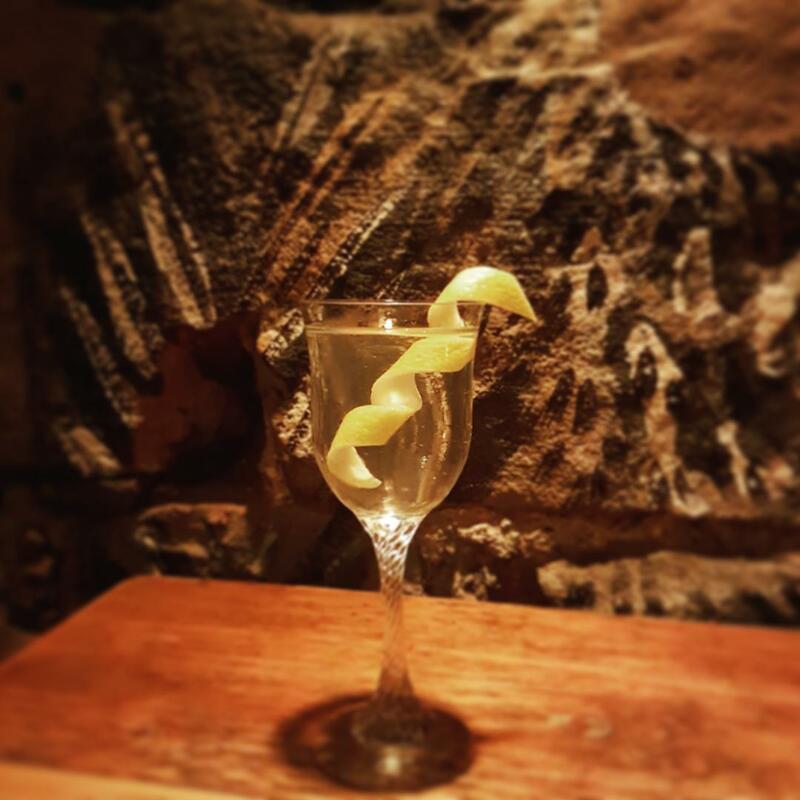 Not just a gin bar but excellent cocktails and mixed drinks, with a new menu imminent from new manager Grant and his team.